There’s a new high value Quaker coupon available! Just go here (IE or Firefox) to print a $1 off any Quaker Instant Oatmeal or Quaker Quick or Old Fashioned Oats coupon. 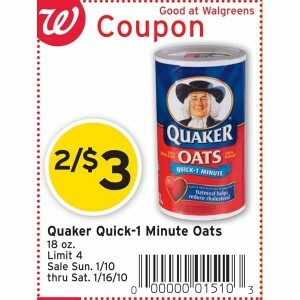 Also, Walgreens has the Quaker Quick- 1 minute oats (18oz) on sale 2 for $3 with the in ad coupon. 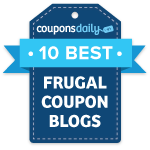 Use the $1/1 coupon from above to get Quaker oats for just $0.50 each! The coupon is #1 in the rotating banner image. Includes: Ecotrin, Contac and more.